In major electric vehicles market, countries such as Japan and Norway on average, electric car sales were more likewise split between battery electric vehicles and plug-in hybrid electric vehicles. Japan has introduced a new policy in 2016 to support successful adoption of electric vehicles. The policy grants greater subsidies as the electric range of the model rises, with the maximum subsidy fixed at USD 7 700. For instance, a Nissan Leaf equipped with 30-kWh battery, the purchase incentive sums to USD 3 000. Battery electric vehicles sales in 2016 amplified by almost 50%, while PHEV sales plunged by 34% due to higher incentives over battery electric vehicles as BEVs are usually equipped with larger batteries and greater electric ranges than PHEVs. Other major factors that enlighten this market progress comprise the introduction of the new Nissan Leaf in 2016, as well as the deleterious influence of allegations of falsifying fuel economy standards of Mitsubishi models. The Japanese government has aspiring goals in terms of number of electric vehicles deployment. Additional to direct subsidies to increase electric vehicles sales of and to improve charging infrastructure, the government is also supporting and strengthening the R&D activities to develop cost effective batteries. The report covers the present ground scenario and the future growth prospects of Japan plug-in hybrid cars market for 2017-2025 along with the market players’ analysis. We calculated the market size and revenue share on the basis of revenue generated from major players in all major regions. Japan plug-in hybrid cars market is forecasted on the basis of revenue analysis, product benchmarking and strategic developments of key market players. Japan plug-in hybrid cars Market Outlook 2017-2025, has been prepared based on an in-depth market analysis from industry experts. The report covers the competitive landscape and current position of major players in the Japan Plug-in Hybrid Cars Market space. The report also includes porter’s five force model, SWOT analysis, company profiling, business strategies of market players and their business models. “Japan Plug-in Hybrid Cars Market Report” also recognizes value chain analysis to understand the cost differentiation, pricing models to provide competitive advantage to the existing and new entry players. 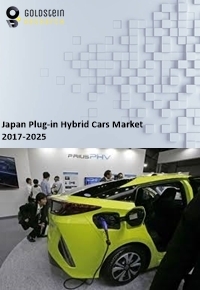 Our Japan Plug-in Hybrid Cars Market Report comprises of the following companies as the key players: Daimler AG, General Motors Corporation, Toyota Motor Corporation, Mitsubishi Motors Corporation, BYD Auto Co. Ltd., Volkswagen AG, BMW AG, Honda Motor Co. Ltd., and Hyundai Motor Company.